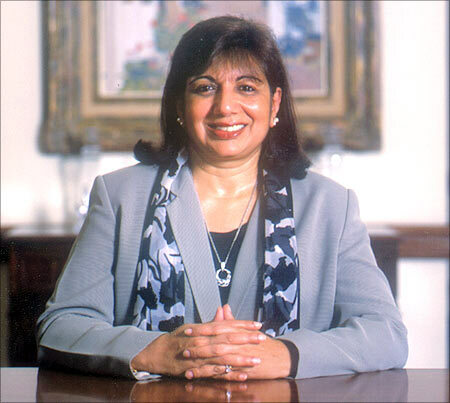 Four Indian business leaders -- Kiran Mazumdar-Shaw, P N C Menon, Vineet Nayar and Ronnie Screwvala -- figure in this year's list of Asia-Pacific's most remarkable 'givers'. The annual list of 'Heroes of Philanthropy', compiled by Forbes Asia magazine, features a total of 48 people from the the Asia-Pacific region, including countries like China, Singapore, Hong Kong and Indonesia. Listing Indian biotechnology major Biocon's founder and chief Kiran Mazumdar-Shaw as one of 'the most notable givers', Forbes said she is working to improve cancer care and has pledged to give away 75 per cent of her wealth. 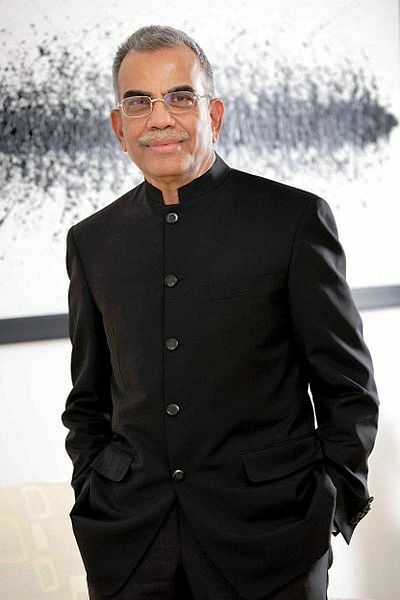 Other Indians on the list included realty major Sobha Developers' Chairman Emeritus P N C Menon, who plans to give away half his estimated $435 million fortune through his Sri Kurumba Trust -- his family's charitable arm. The Sri Kurumba Trust has adopted 4 villages in his native Kerala in 2006 and helps families with a monthly income below $90 (over Rs 5,000). Image: P N C Menon. 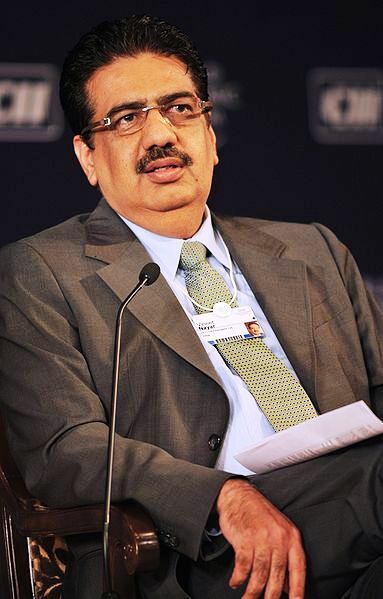 HCL Technologies Vice Chairman Vineet Nayar sold shares in the outsourcing company for $24 million last year and the proceeds went mostly to Sampark, a charity he started long with his wife Anupama. It works with local governments to improve schools, fund social ventures and expand water supply. Entertainment mogul Rohinton 'Ronnie' Screwvala, co-founder of UTV Group and Walt Disney's India Managing Director, also plans to spend $180 million over 5 years to uplift 1 million villagers in Maharashtra. who are giving their own money, not their company's because donating shareholder's funds is not charity," Forbes Asia Senior Editor John Koppisch said. He further noted that 'by calling attention to these charitable souls, we hope to encourage more giving'. Forbes further said that this year four of the previous year's honorees -- Australia's Andrew Forrest (and his wife, Nicola), India's Azim Premji, Malaysia's Vincent Tan and Taiwan's Samuel Yin-signed the Giving Pledge, an effort by Bill Gates and Warren Buffett to get the world's richest to give at least half their wealth for philanthropy. 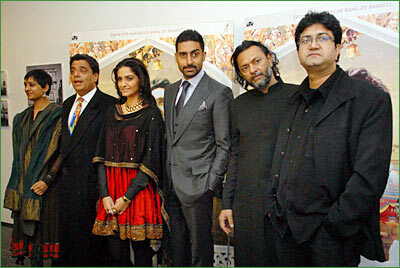 Image: UTV chief Ronnie Screwvala [second from left], Sonam Kapoor, Abhishek Bachchan, Rakyesh Mehra and Prasoon Joshi.